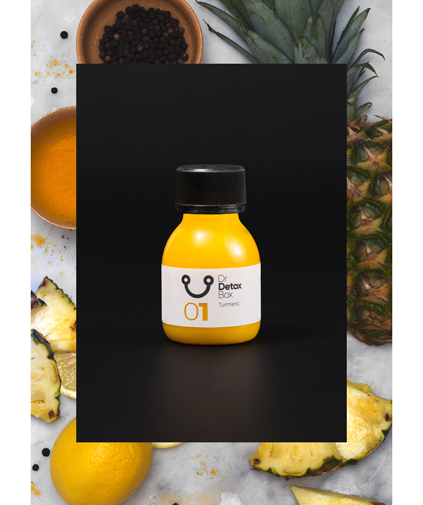 The combination of turmeric, black pepper, pineapple juice and lemon juice, this shot in your DrDetoxBox is the kickstarter of your day. The main ingredient Turmeric helps the cleansing of your blood, it stimulates the production of collagen and keeps the skin flexible. Moreover Turmeric has a very positive effect on the digestion of fats in the body. Other ingredients like black pepper give you an extra energy boost.